Nigeria’s petroleum industry is plagued with the phenomenon of crude oil theft and associated artisanal refining of consumer fuels. While the official daily production figure is about 2.1 million barrels, the exact amount of crude oil stolen per day from Nigeria’s oil fields and extensive pipelines system is unknown. Government agencies estimate that as much as 400,000 barrels of crude oil may be stolen daily in Nigeria; more than the entire production of individual countries such as Equatorial Guinea, Gabon, Ghana, and Cameroon. 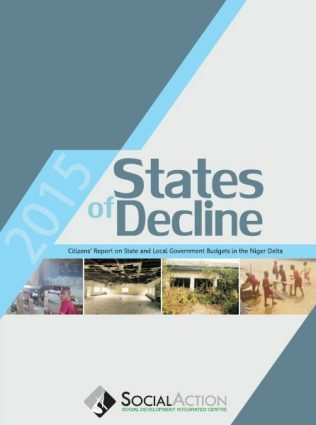 Nigeria is losing about $1.5 billion each month, according to some estimates. Besides the loss of revenue that could have gone into developmental projects, there is also collateral damage to the environment and livelihoods of the people in host communities, as oil theft and illegal artisanal refineries now constitute sources of colossal land, water and air pollution. 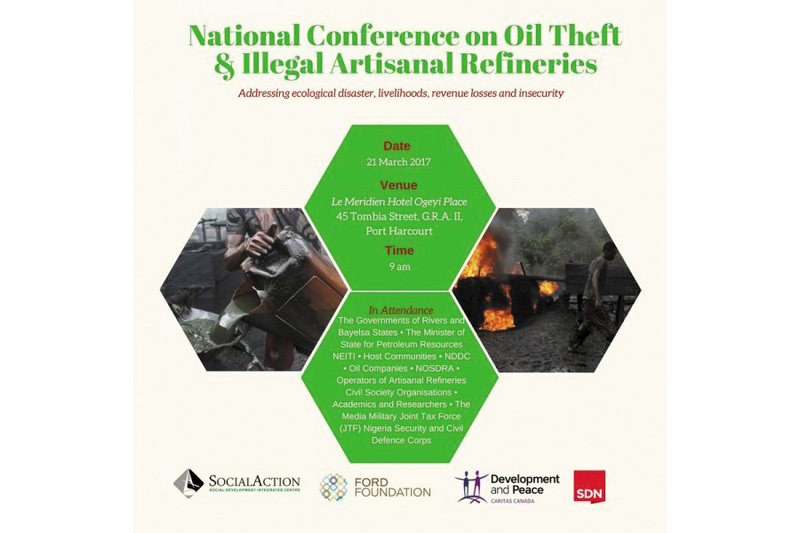 The National Conference on Oil Theft and Artisanal Refineries brings together leaders from the host communities, oil companies, government agencies, security services, civil society groups, academic institutions, the media and operators of artisanal refineries. The conference will provide a space for open conversations that would lead to common understandings of the urgency of the problems, the underlying causes, ongoing initiatives and suggested approaches by the state and non-state actors aimed at eliminating the twin problems of crude oil theft and illegal artisanal refineries. While recognising the efforts of the state security services to contain threats of crude oil thieves and illegal artisanal refineries, the conference will examine the understanding that security measures alone may be inadequate to address the myriad challenges. The mode of destruction of illegal artisanal refining sites and storage facilities by the security services adds to the pollution of the local environment. The conference is organised by Social Development Integrated Centre (Social Action) with the support of the Ford Foundation, Development and Peace-Caritas Canada, Stakeholder Development Network (SDN) and other collaborators. The conference is a culmination of three years of research, monitoring and civic engagement activities in association with host communities and other stakeholders with the aim of promoting human rights, environmental protection and sustainable livelihood in sites of petroleum extraction in Nigeria. Illegal oil bunkering in Nigeria, which involves the use of large vessels to transport and sell stolen crude, can be traced as far back as the 1970s during military rule. On the other hand, ‘artisanal’ or local refining of crude oil into consumer fuels is a more recent phenomenon. Artisanal refining is a small-scale or subsistent distillation of crude petroleum over a specific range of boiling points, to produce useable products such as kerosene, fuel and diesel. The artisanal refineries were developed to satisfy local demands for energy in the face of an unreliable national grid, high costs and sporadic scarcity of consumer fuels. It involves mostly traditional knowledge skills with little reliance on high-end technology. The practice relies on stolen crude as the primary raw material. 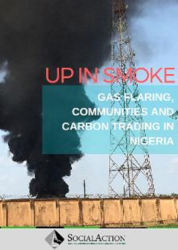 In recent years, artisanal refining has become widespread in southern Nigeria, as is associated with severe environmental pollution. Analysis of the pattern, actors, enablers and consequences of oil theft/illegal oil refinery in Nigeria. Knowledge of the linkage between oil theft and artisanal refinery as part of the corruption mix in Nigeria. Understanding of the relationship between oil companies and host communities in the context of facilities safeguard. Understanding the threats of oil theft and illegal refining to legitimate civic engagement, environmental sustainability and the physical health and livelihoods of the people living in host communities. Understanding of ongoing initiatives and effective policy alternatives for addressing the problems more sustainably.